I love how it's a gorgeous, vibrant red colour without any artificial colourings! Nice job! I spent the whole summer doing various types of jam - I think we made 17 jars of strawberry alone. 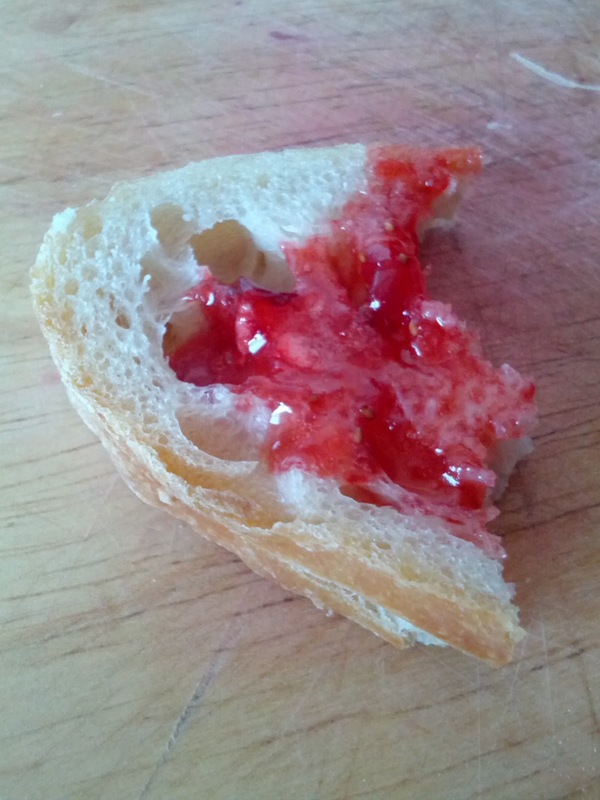 If you try doing strawberry jam again, you should try a strawberry-balsamic batch. It's lovely with crackers and cream cheese or goat cheese.